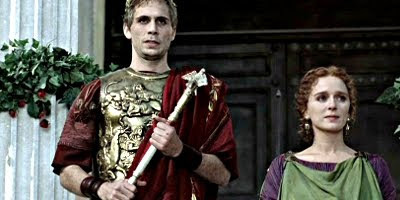 Multi-national historical mini-series directed by Uli Edel and based on the life of Julius Caesar. Starring Jeremy Sisto in the title role, Christopher Walken as Cato,and with a notable performance from Richard Harris as Sulla in sadly his last screen appearance. To condense the life of arguably the most famous Roman into a 180 minute running time is quite a task, and so, much historical accuracy is sacrificed, for example, Marcus Crassus, third member of the triumvirate alongside Caesar and Pompey is completely missed out. Also the Roman military uniforms, much like many other such film productions based on the early history of Rome may look great in terms of spectacle, but are in truth wrong for the historical period. Setting all historical inaccuracies aside the production does feature strong performances from the supporting cast, some epic action, namely Caesar's siege of Alesia during his 10 year campaign in Gaul, and impressive sets such as a reconstruction of the early Forum Romanum. Plenty of historical eye candy, action and political intrigue to keep the viewer enthralled and entertained.